Dr. K.Prabhakaran is a leading practitioner practices at Assam state, India. He had contributed many scientific articles, clinical Experiences to the Scientific Homoeopathic Journals. Here he gives a case of Multiple renal calculus with ovarian Cyst. A female aged 17 years presented pain abdomen since 4 months and irregularity in periods. The menstrual discharge was profuse, dark, clotted and had leucorrohoea. She also had burning pain during discharges. As per her mother’s narration she is very short tempered, gets angry if anybody points out any thing and often presents swinging moods at home . 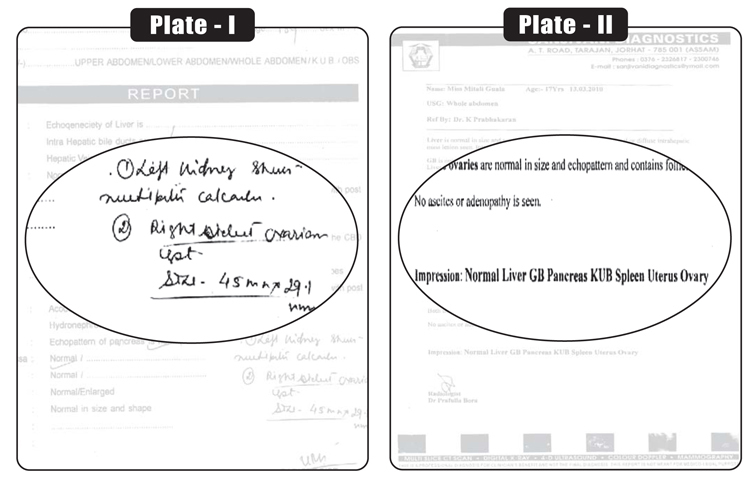 USG Report – Normal liver, GB, KUB, Uterus, Ovary.